Most of our finance systems were designed in an era when people paid for things with cash or by cheque. Over the last ten years, paying the government by debit or credit card has gone from being the exception to the norm. 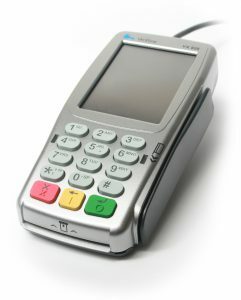 We now receive about 250,000 card payments a year, either over the counter, over the phone or online. We are also seeing rapid growth in the number of payments paid directly into our bank accounts due to the rise of mobile banking which makes it easy for our customers to make a faster payment. Until recently, each States department made its own arrangements for receiving payments online and for setting up counter top payment terminals for accepting card payments in government offices. This piecemeal approach has led to inconsistency, and prevented us from benefiting from economies of scale. Processing of card payments currently involves a lot of manual administration, which is inefficient and not a good use of staff time. For the last two years a project has been underway to standardise how States departments handle electronic payments, either online or made in person. We have bought a new system from Civica UK Limited which will allow us to introduce new ways to pay. We will be gradually replacing existing payment mechanisms with the new software. If you pay over the phone, you’ll be asked to key in your card details using your phone’s keypad. This is more secure than reading out the numbers to someone. It also means you’ll be able to pay this way at any time that is convenient to you, day or night. It will be easier for us to comply with and keep up to date with the latest Payment Card Industry Data Security Standards (PCI DSS). These standards affect everyone that accepts, processes, stores or transmits credit card information. They ensure that all companies maintain a secure environment. What else is on the roadmap? The system can also cope with Apple Pay, Google Pay and PayPal payments. We can choose to introduce those options in the future. reducing our card transaction fees. We expect more people will choose to pay via the digital channels that we will be making available. This will benefit customers as well as make government more efficient.